A Happy new year from the trustees, Staff and volunteers of the Long Shop Museum! Our ‘Deck the Halls’ event on the 1st December 2018 was great way to start the Christmas period. We were fully booked and had a great atmosphere in our historic grade 2* listed Long Shop Building, our volunteers had worked hard in the week leading up to the event making the Long Shop look as festive as it could be, with a very strong emphasis on a traditional Victorian Christmas. We were very pleased to welcome members of the Colchester Arts Institute who performed the Charles Dickens classic ‘The Christmas Carol’ in their own unique manner. This was followed after a short interval by the Ipswich based “New Song Community Choir” who performed a variety of festive songs and Christmas carols, complete with audience participation. A great night, although a little chilly, was had by all and the festive refreshments and hot drinks went down well. 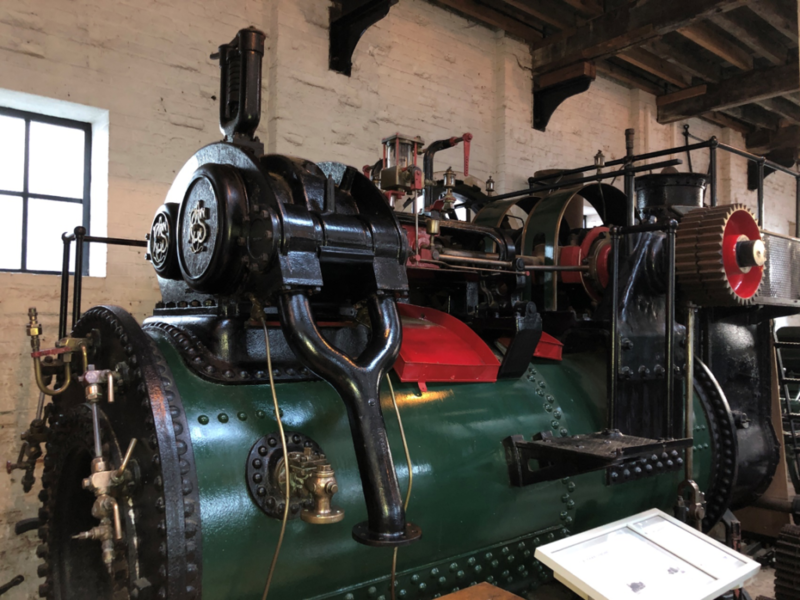 On the 6thDecember 2018 at the Long Shop Museum, we had a breakthrough will one of our steam engines. The Garrett CCS engine which had been seized in one position for the 35 years that it has been part of our collection, has now been freed up by our team of Engineering volunteers. It is hoped that the engine can be demonstrated at our various events throughout the year being driven by a stationary engine. It really has been a labour of love for the small team of volunteers and they are rightfully proud of their efforts. Incidentally, Richard Garrett’s installed a bank of these engine in the Station works in 1914 to provide power to the generators to produce electricity for the works. They were then replaced by supplies from national grid in 1939. These engines were maintained as a stand-by unit well in to the 1950s. We have got a full diary of events planned for 2019, with some of our regular events as well as a couple of new events that are designed to cater for all ages, so please do keep an eye on our website or Facebook page, or even drop in and see us at the museum to collect a new 2019 leaflet. Just to entice you more, here is our list of major events that we will be holding this year at the Long Shop Museum.